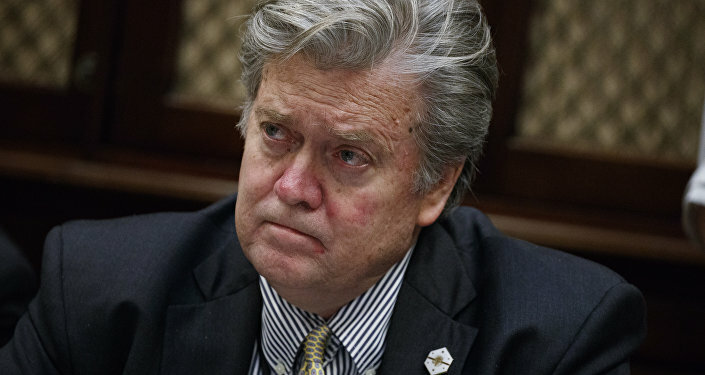 Bannon The Barbarian Goes "Thermonuclear"
"I'm leaving the White House and going to war for Trump against his opponents - on Capitol Hill, in the media, and in corporate America." That is what former White House chief strategist Steve Bannon, over the phone, told the man who wrote the book on how Bannon/Macchiavelli actually conquered the White House for The Prince, Donald Trump. Immediately after his ouster Bannon had already alerted the Beltway — and the world — "that presidency is over. It'll be something else. And there'll be all kinds of fights, and there'll be good days and bad days, but that presidency is over." Bannon added he'd got his hands back on his "weapons"; "I built a f*****g machine at Breitbart. And now I'm about to go back, knowing what I know, and we're about to rev that machine up. And rev it up we will do." So the Leninist Machiavelli now exits The Swamp to work at his preferred element; out there in the jungle trenches. Expect all hell to break loose. Bit torrents will flow explaining that Trump has offered Bannon as a sacrificial lamb to the jackals encircling his tumultuous presidency, even as Bannon has spun he wanted to be fired; after all he did offer his resignation in early August. The game though is way more nuanced. 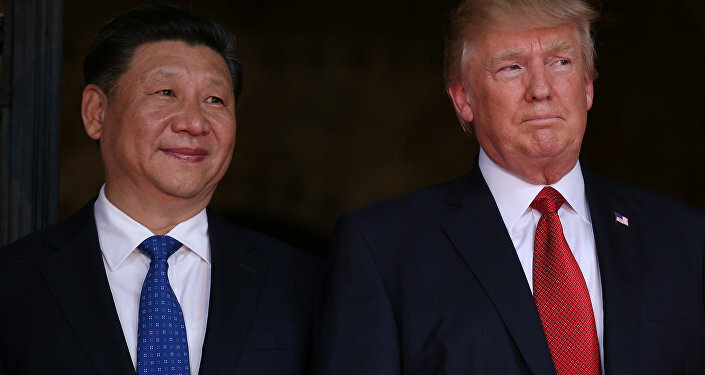 Macchiavelli's loyalty to The Prince is undoubted — and he's certainly more helpful for Trump outside looking in. Breitbart will be amplified no holds barred as a massive megaphone denouncing the war between nationalists and the "globalist" White House wing. Top "globalist" exponents are Jared of Arabia — the Would-Be Pacifier of the Middle East; his wife Ivanka Trump — already being groomed to run in 2024; the sinister head of the National Security Council H.R. McMaster; and Wall Streeter Gary Cohn, director of the national economic council. Apart from selected targets at the Pentagon, the State Dept. and the Treasury Dept., Breitbart will also raise all sorts of hell against establishment Republicans angry at the President — who blames them in turn for the failure of his legislative agenda. Hefty theses will be unspooled on how Trump, ideologically, is a nihilist who Macchiavelli Bannon instilled with some values. Trump is as much an American nationalist as Bannon; what he did get from Macchiavelli was a road map — which turns out to be virtually impossible to implement. Knowing he would be out, with nothing to lose, Bannon had already started working on his new role during the by now notorious interview with the American Prospect; that was Bannon's way to deliver a strong message to working class Democrats. "The Democrats," Bannon said in the interview, "the longer they talk about identity politics, I got 'em. I want them to talk about racism every day. If the left is focused on race and identity, and we go with economic nationalism, we can crush the Democrats." So this is the money quote to understand the aftermath of Charlottesville. The Democrats fell on the trap. Hysteria reigns on what is essentially a fight of identity versus class politics. 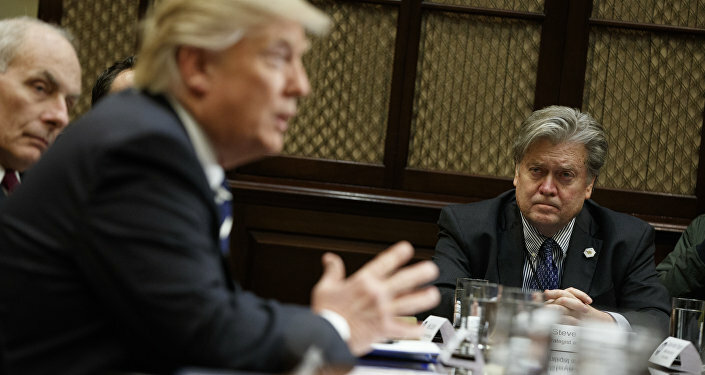 The key variable to watch from now on is how — and if — Trump, helped by outsider Bannon, may emerge as the winner, finally empowered to implement economic nationalism. Is it war? You betcha. And the battle plan has already been sketched. Bannon will be helped from inside the White House by Stephen Miller — the man who wrote Trump's dystopic "American carnage" inauguration speech. Crucially, two days before the end of his White House adventure, Bannon held a meeting for no less than five hours with key Republican billionaire donor Bob Mercer at Mercer's sprawling estate on Long Island. The full "thermonuclear" political and media strategy ahead is already codified. Also crucially, the day after Mercer had dinner with Trump and a selected group of Republican high-roller donors. So the narrative that the US deep state — which now de facto controls the Trump presidency — banished Bannon forever to the "deplorables" badlands tells only part of the story. The Swamp may decide on policy — but the Breitbart guerrilla surge will take no prisoners. That may even yield a Trump favorite — a new cable show. "Watching the Swamp" — with Bannon and The Mooch, anyone?